There is a long list of dog breeds out there (almost rivaling that of horse breeds). Each breed has their own unique characteristics and history, usually based on the conditions of their natural habitat. I’ve collected some of the more unusual dog breeds and decided to learn a little bit more about them. Dogs have had their place next to mankind for a very long time and it is interesting to see how some of the more unusual breeds have been shaped by humanity as well as Mother Nature. Interestingly enough, this breed originated in Africa, which goes a long way towards explaining their curious “naked” bodies. Chinese traders picked them up along trade routes to catch rats on their ships. In fact they became quite popular for this and the name Chinese Crested stuck with them. A very old breed, the Chow Chow has been bred in China for thousands of years. Known for several distinguishing characteristics like their black tongue, their almost straight hind legs, and their thick fur. They were traditionally bred for their fur and their meat (which used to be a delicacy in China). 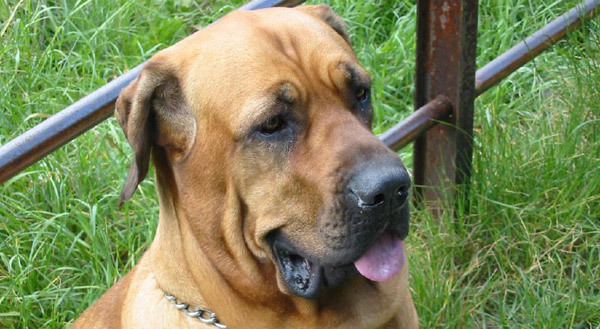 A Brazilian Mastiff, the Fila Brasileiro is very loyal to their (dominant) master, however they have been bred through the centuries to have a mistrust for humans they don’t know. Their faithfulness to their master became a Brazilian proverb. The Jindos were originally bred as hunting dogs and those traits have lived on in their bloodlines. They are independent and enjoy solitary hunting. Although when they bring down prey they always carry the catch to their master or lead their master to the catch. Their loyalty to their master has made them legendary and the Korean government considers them a national monument. There are several theories about where Newfoundland dogs came from, they could have been Viking “bear dogs”, nomadic Indian dogs or perhaps a close relative to the Labrador. This breed loves the water and has webbed feet. 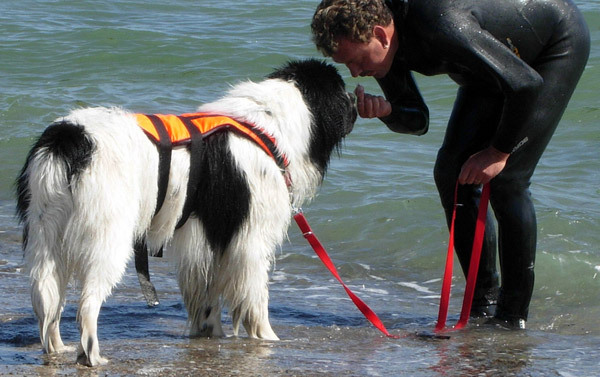 They are also very protective of their owners and may try rescue you from the water whether you need it or not. This is an odd little dog with six toes on each foot (that’s right – two dew claws) which help them to climb. They also have been bred for extra joints in their neck and flexible shoulder joints so they can turn their head at a 180 degree angle. This is a smart little dog, but still rather primitive and difficult to housebreak. All you have to do is look at the Puli to understand why it is unique, they are an ancient breed from Hungary that were originally used as sheep dogs. During WWII the breed was almost totally decimated and their numbers dropped to two figures. Today dedicated breeding programs have brought the breed back and protect its bloodlines. The history of this breed is full of speculation, because of the purple tongue they are thought to be descendants of the Chow Chow. However evidence has been found that shows the breeds existence even in 206 BC. The wrinkled skin and rough coat made the animals good fighters and they were bred as fighting dogs for many years. Often possessing a mottled coat and wild blue eyes, the Catahoula is thought to have originated from Nordic Wolfhounds brought to Louisiana. They are tough as nails and were used in teams of 3 to round up feral livestock that had escaped to take refuge in the woods & swamps. This is a very rare breed and until recently was not often seen outside of Thailand, known for the characteristic ridge of hair growing the wrong direction on their back. The ridgebacks have been in eastern Thailand since the middle ages and were once known as simply “the cart-following dog”. Be sure to read up about the cousins to these animals who are facing extinction. Sadly, domestic dogs are public enemy #2 to many of the wild dogs, wolves and foxes who face low numbers. Second only to humankind. This entry was posted in The Trough on August 21, 2009 by The Equinest. Because they have absolutely no life. And their parents didn’t do them right. Its sickening…. Hay did you know that tge chow chow was also bred as a hunting dog? You should read up on the Basenji, and add it to your list. Plenty of Videos on youtube. Wow! Welcome fellow Stumbler. Nice to see you got all the way to the end. I hope you enjoyed the article and I’d really appreciate you giving this the thumbs up if you are so inclined. It would help a lot. Thanks, Paige. This is pretty interesting information. I’d like to read something similar on other popular purebreds. “decimated” means to reduce by 10%. that would be because the blonododle or what ever you called it is not actually a dog breed, it was bred purely for the purpose that people can now take two different purebred dogs and cross them and make up a name. even though these “hybrids” are simply mutts. There is nothing interesting about them as they have no history, really people who are breeding all theses “hybrids” are ruining the purebred dog history. Bolonoodle is not a mutt. It is a cross between a Registered Bolognese and a Registered Poodle. A mutt is a dog which has no known line of ancestry. The crossing of breeds does not ruin the world of dogs. It is the expansion of the gene pool. Sometimes, as in the case of a Bolonoodle, it can bring out the best characteristics of both animal breeds. I’m sorry to burst your bubble Newfeilover208, but I’m not sure you understand how purebred dog breeds came to be. All starting from the grey wolf several thousand years ago in possibly several different geographical locations, people decided to domesticate wolves by capturing grey wolf puppies and breeding the ones with favorable health, temperament, physical ability, and/or physical beauty characteristics together. In doing this, the 14 ancient breeds were created (you can look this up). To me, mixed breed lineages are extremely interesting, especially when the parents are chosen by people, for this is the active creation of possibly a new breed. Breeders choosing two different breeds for their intelligence, effects on allergies, or health, for instance, are simply doing exactly what people many years ago did with wolves. For now, these so-called “hybrids” may be shot down by people like you; however, give them credit, for in the future you may be eating your words. Wow, this was some great information! I love dogs and this is very good information to read when looking for a pet. I wanted a Mastif because I love big dogs, but after reading this, I might just look for a different type of “big” dog, but only because I am still living in an apartment. Thought Jindos were brown in color and wild. I think I read somewhere that it was illegal to take the Jindo from the area they are living on their own, so almost all the Jindos people have are not in fact real Jindo, but maybe only partially Jindo. I might be wrong, but you may want to check on that. Thanks everyone for the feedback, I may have to put together a follow up post with more rare breeds. Much of what I found about the Jindo was conflicting & my Korean is rusty. 😉 But I did find that only microchipped Jindo’s are allowed on the island of Jindo (unless they are neutered) – and those with microchips are not allowed to leave either. I’m glad you brought this up, it turns out there are even more unusual facts about this particular breed. Lovely site! I look forward to seeing more articles. Big dogs don’t always need lots of space. I have had great danes for twenty years. I also live in an apartment. Space needs are dictated by the activity level of the dog, not the size. Once my dogs were out of the puppy stage they basically lay around unless I take them out. I raised two kids around danes, they are friendly, brilliant, lap dogs. I have a Nova Scotia Duck Tolling Retriever which seems to be pretty unusual in my region(Cali)I’d like to see that breed on a list like this. Copper is a great dog very loyal and he likes to “talk”. fun post thanks! I hate this site just because it says ‘welcome stumblers’. the feist(or fyce) is also another breed, wildly popular in the south, but mistaken as a rat terrier mix in northern states. they are a southern tree squirrel dog. tenatious, loyal, a bit obsessive, but not aggressive, and they are rather quiet hunters. love these dogs, but they need a lot, a lot, did i say alot, of exercize. very smart too. Especially glad to see the Catahoula Leopard on the list. I had one for a few years until we had to put her down due to cancer. Other than a want to run away, and that I blame my sister more for than the dog, Keska was one of the most well-mannered dogs I have ever had. I quite literally never heard her bark though, which I thought was odd, but to most of my neighbors the dog was weird enough. Thanks again for including that particular breed. Brought back a lot of good memories. I used to have a mixed Catahoula. Best dog ever. awesome dogs! I never knew there was a thai ridgeback, i love rodesian ridgebacks. such happy dogs. props on including the thai ridgeback, the fila brasilero and the catahoula. you should perhaps mention that show quality filas are actually scored on aggression shown towards a judge during competitions. they are absolutely one family dogs and not by any means for a novice dog owner. I enjoyed reading this…thank you. I didn’t realize there was a Thai ridgeback, either. My dog is 1/2 Boxer, 1/2 Rhodesian ridgeback (she still has both her ears & tail. It’s a great breed combo! Is it possible the Thai ridgeback got to South Africa? Or perhaps a similar mutation occurred there. We had an Ibesian Hound. Everyone thought it was an odd greyhound. NOPE. Much more interesting. Great info! We now are puppy raisers for a guide dog org. That was great information. I thought i knew alot about almost every breed, buth there are some in there i’ve never heard about. Thanks! Another rare breed outside of Peru is Peruvian hairless dog. They are also available coated! Much like the Whippet or like a small Greyhound. Fast and affectionate,healthy dogs. Shiba Inu’s are my fav breed!! Interesting, but there are so many punctuation and grammar errors that I find it hard to receive the information as trustworthy. Proofread your work, and then readers can focus on what you write. monkeylice – decimate was used correctly on this page. while decimate originally meant to kill 1 in every 10, its definition has today expanded to mean drastically reducing in number. I love language and so I am surprised that as often as I have heard the term “decimated” I was not aware of the specific meaning. It makes sense though. Excuse me? What has that got to do with anything? Did, or do, you have a Rhodesian Ridgeback? I have always been attracted to them, but I have never known anyone that had one or had been around one enough to tell me about them. Do they make good all around dogs or are there any quirks you can think of that might make them undesirable in certain homes? Wow very interesting. It’s crazy how many breeds of dogs there are. Very interesting. Several unknown breeds (to me). “The dog represents all that is good in man.” I think that still holds true even with these unique breeds. I think you are thinking about Dingos… Your comments would be correct if you are. Hmmm, that does make sense, although I’ve never used it in reference to “percentage of”. I just looked it up on Dictionary.com and it gives 2 definitions – yours and also the one used in this article. Guess it could work both ways. Great article. I really enjoyed reading it. There are breeds here that I’ve never heard of before… hopefully you’ll post some more. My good friend has a rhodesian ridgeback, he can be very playful or lazy depending on what mood he is in. Those dogs are very muscular and don’t often know their own strength, so as long as you train it from a puppy not to jump on people and such it should be a good dog. My friend’s dog has a personality similar to a poodle, kind of goofy, prancing and such, but also very lovable. Those dogs have great character. Great article! I currently share a home with two Chinese Crested(s), they are wonderful pets. 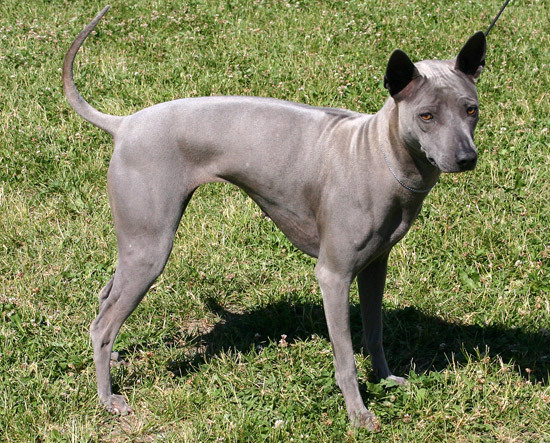 Another rare hairless breed that could be mentioned in future posts is the Xoloitzcuintli, or Mexican Hairless. Their history is quite remarkable. ive seen my fair share of newfoundlanders, chow chows and shar peis.. even chinese crested..
We had to put our Catahoula to sleep about a month ago at age 12. He was an amazing dog– incredibly smart and loving and funny. Good info and very nice pictures. LOL the cart-following dog. WTH was that ? and the weirdest award goes to puli. it resembles closer to a mop rather than to a dog. Look up Poong-San Dogs from N.Korea. They are beautiful and rare. Dog and Kennel came to our house a couple years ago to do an article on them. Something odd about your Puli picture, the Puli is a very large dog, bigger than your average German Shepherd. Puli are a small breed. You must be thinking about the Komondor. Where’s the Chinese Chongqing!? It’s among the rarest dogs in the world and thoroughly fascinating and beautiful! I agree, catahoula dogs are great. They are considered a barkless breed(only bark when needed). I have a great girl named Carly, by far the best dog we have ever had. She is very smart and loyal maybe too smart. She also loves to run away at times and we have three acres she can stay in, I think it is just a trait of the breed. Thanks for the chance to brag on my sons pillow(her favorite job). It seems that you have confused the Puli with the Komondor. The Komondor is also an ancient hungarian breed, looks similar to the Puli but ist much much larger. It is also usually white, though darker colours also exist. Just checked out the the Chinese Chongqing and it is a beautiful dog… the tail is so cool! Loved this little article. Pekinese were originally bred to ride in the long sleeves of their masters for the master’s protection. Basenjis can climb trees because their dewclaws are placed like a thumb [I use to raise them]. They corkle and can sing and can cry real tears. Smartest dog I ever had! I have had the opportunity to see the Native American Dog [not recognized by AKC]:they come in 4 different varieties because of the breeding of them, not only with wildlife, but with dogs from other tribes, mountain men, and traders. Although the origin of “decimate” has to do with the Roman practice of punishing soldiers (under a centurion) by executing one soldier out of ten, I’ve never heard it used to mean “reduced by 10 percent.” Perhaps that is just because I don’t spend time with people of sufficient education? It’s almost always used by sports fans as a synonym for ‘creamed’ or ‘thrashed’ or ‘pulverized’. There’s nothing wrong with pointing out the real meanings, though, because it helps us all to put more meaning into our language. Do you know people that use ‘decimated’ in a mathematically correct way? Really interesting facts,thank you for enlightening about man’s best friend.I too have a dog,which landed on my lap for rescue.Found that it’s a rare breed,called Sakhlain Husky(seems Japanese Breed).Any Info on this breed is highly appreciated. I’ve had a couple of Austrailian Shepherds over the years. They are the kindest dogs. Smart, learn fast and very sensitive of peoples feelings. All of them have been the Blue Merle with stiking markings. Great info. thanks for taking the time to find it all out for those of us that are interested and didn’t know where to look. Good Job!! I hate you because you judged this page for saying welcome stumblers. Interesting, didn’t know there were so many different breeds, only recently I have seen Shar Pei, very aggressive, and my dog trainer doesn’t recommend them as pets. I have a gentle Doberman cross Rottweiler, much maligned breeds. Very interesting site. Thumbs up, you bet! the korean jindo was cool. BIG fan of the Shiba Inu! Glad to see them get some love here, as I don’t see or read too much about the breed. Got him from a breeder 5 years ago, best $1000 I ever spent. I was also going to suggest that basenjis should have a place on this list! I have two red and white basenjis who I receive compliments and questions about whenever I take them outside. i love all the types of dogs here in you website…. LOL! I luv Newfoundlands! DO more about them PLEASE! This is a great site! i have had 3 generations of shar pei’s and they are as gentle as a golden retriever. Very loyal dogs to the entire family. Great protector of home, only barks Loud but never bites. All pets are as dumb, mean, aggresive, or smart and calm as its owners! Mine very loving and very calm all 3 generations. Leonbergers were very recently (I think this year) recognized by the AKC. I have seen them at shows this year. You can read about that at akc.org. I have a Catahoula and “tough as nails” is correct. They are supposedly the oldest American dog breed. I love Chow Chow very much but I used to have a Shar Pei and Golden Retriever a long time ago. Pure breeds are great but I’ve always had Humane Society mutts in my house. A Golden Retriever mix, a Terrier mix, a Belgian Shepard mix and others. All fantastic dogs that might have gone to canine heaven before their time had I not stumbled upon them. PS. Very nice website and fun reading, Thanks. I enjoy reading and looking at your blog post. That was totally awesome. That was the first time I saw these dogs at their different appearances. Good job. Keep it up! Our catahoula just had a litter of 11 puppies, we just noticed that some of them have 6 toes. I’ve never heard of them having toes like that. Should I be worried or is it a normal thing. I love my catahoula! She will turn two in December and a constant bottle of joy. She is always active and very loyal to me! RE the Chinese Crested — I think that one of the most strange things about the breed is that they also come as a “Powderpuff” with thick hair 3-6″ long all over their body. True hairless and powderpuff are born in the same litters and the breed cannot be bred to produce one or the other. Many of these quiet loving dogs have some body hair which is shaved for show; my sweetheart had hair so long that he looked like a miniature Afghan hound! You got Jindo dog wrong. Im korean and I know those dogs very well, in fact, I got 3. The “real” jindo dogs are white with doble color nose. Others can be brownish, yellow, and even black but white is preferred or considered the “real” jindo. And they dont really look like the one from that photo. They look more like skinny akita dogs.They have cousins of the known breed “Akita”. 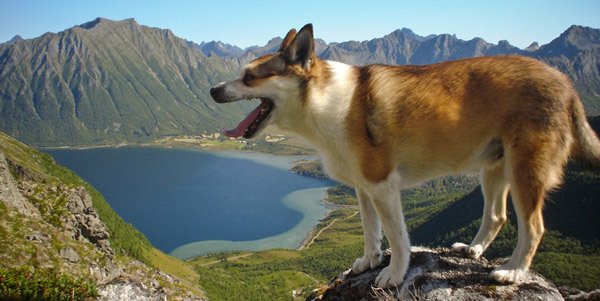 They are polar/mountain dogs and they were used to hunt. There’s proven record of 2 jindos killing an adult bear by themselves. They are very aggressive to anyone who is not their masters. Very dominant breed. Dont even tease one. Great article. Your facts on the Chow Chow are not quite accurate though. I use to breed and show Chow Chows and I know quite a bit about their history. The Chow Chow was bred and raised as a guard dog and herding dog. Statues of them are seen all over China. They are known as the lion dog and are typically shown guarding gates and entrances to palaces. Their fur was occasionally used like wool (the dog fur was combed out). At one point the dog was eaten but the practice was not widely done. Much like the American Indians would eat their dogs – as a last resort for food. The name Chow Chow originated in Europe when the dogs were first imported to there on ships. In those days everything that came from China was known as chow (an import from China). For lack of a better name of the dog, they were called Chow Chow. they’re rare for a reason.it’s cruel breeding and they dont live as long as a NORMAL dog.instead of paying thousands for these dogs think about ones in kennels before they’re put down and stop choosing them for aesthetic purposes. @Cathy: most people who buy a purebred dog want to own that dog for a reason. They have most likely met the breeders, checked the conditions in which the pups were conceived and bred, and make sure to give the mother and pups very good medical treatment. Their lifespans are usually within normal limits for their particular breed. What you are thinking of would be the puppy mill system, which is VERY cruel and is stopped whenever law enforcement can get their hands on the perpetrators. Puppies that come from pet stores (pet stores, mind you, are quite different from private breeders)are often from mills where conditions are so terrible and the pups are taken from the mothers long before they are ready. Often these mill dogs aren’t even the purebred that they are advertised as, and are hideously overpriced in stores. Anyone who is serious about owning a dog KNOWS that pet store dogs are usually the product of cruelty. If you haven’t noticed, most of the larger pet store chains (in the USA at least, i can’t speak for the rest of the world) don’t even sell dogs or cats due to the pet overpopulation problem, choosing instead to fund adoption drives where chipped and spayed/neutered animals are adopted into loving homes. The people who buy from pet stores are probably uneducated on where the dogs come from, and should do a little more homework on their dogs before purchasing. However these rare dogs depicted in the list were probably not bred under cruel conditions; quite the opposite is most likely true. Since they are so rare/unusual the breeders take extra care to make sure that their dogs are safe, happy, and healthy, and don’t use them to pump litter after litter from their females, choosing quality over quantity when it comes to the puppies (larger, healthier dogs are in turn used for show and breeding while the less-desirable pups are often sold at a much lower rehoming fee as family pets and come chipped, spayed/neutered, and up-to-date on vaccinations). I agree that it’s a great idea to adopt dogs from shelter, but a lot of the breeds mentioned above aren’t rare in their native countries, they are just dogs that aren’t globally popular. I currently live in South Korea, and I adopted a young jindo dog from an animal shelter. He’s the best dog! Jindos are very popular here in South Korea, and are a very healthy breed. They are considered a national treasure, and purebred jindos with papers can not be taken out the country. If they aren’t certified as purebreds they can be exported, especially if they are spayed/neutered. 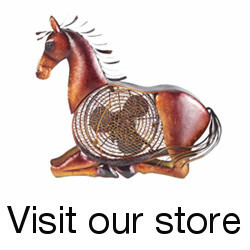 If you are willing to pay for shipping a lot of times you can rescue many of the above mentioned breeds from their native country and pay to have them shipped. Just here in Korea there are thousands of dogs looking for homes and many of them are put to sleep because there aren’t enough adopters. i like the one with the dread locks is cute. Yeah, me too. Love dogs! I really loved that they provided so much information in such and easy-to-read format. Well done guys!!! One other interesting fact is that the husky generally has two different coloured eyes. I really loved that they provided so much information in such and easy-to-read format. Well done guys!!! One other interesting fact is that the husky generally has two different coloured eyes. Thank you so much for this website! I cannot say how wonderful it is!!!!!!!!!!!!!!! I love my catahoula!! So glad it was included here. Whenever people ask me what breed of dog she is, I tell them catahoula, but I’ve never encountered a person who has heard of the breed before! They are great dogs! Very well mannered! 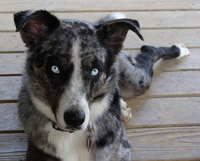 I want to get a Catahoula and have researched them for years. I have one little guy picked out but am still unsure because so many people and websites are so negative about them. It’s good to hear nice things said. I’m worried about the aggression I’ve been reading about and the face I have a farm but don’t have cattle or really a “job” for him to do. I’m also worried about him eating my cat but hoping that I can teach him to respect the cats before he is grown or hoping maybe he won’t have that high preditorial drive. Keep researching. 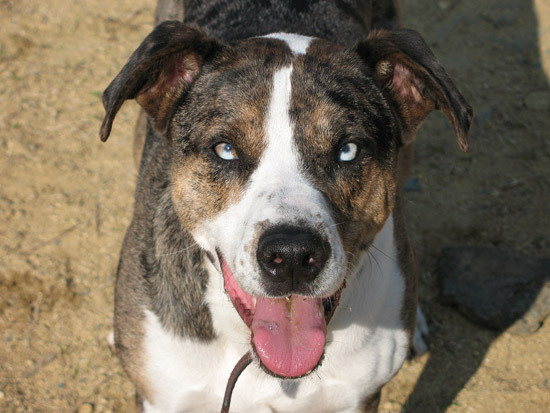 Catahoula’s are a LOT of dog, especially if you’re just wanting a companion dog. They are used to take down wildlife, especially boar. They require an owner with a lot of experience with strong breeds. Definitely not an average dog owners’ type of dog. Good luck in your search. year – 2010 ). Anyway i like : Golden retrievers , Labradors , Newfoundland , Norwegian Lundehund , Puli , Maltese … etc , etc . Nice photos anyway ! Best wishes from meee 😀 , 😉 ! You guys ROCK ! 😀 😀 😀 😉 😉 … you have luck for all these fans ! 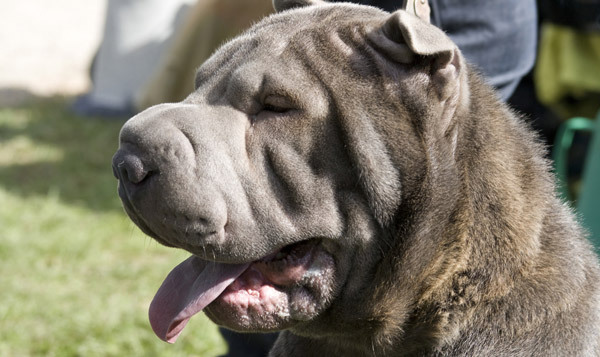 Shar-pei are like pitbulls, only aggressive if raised that way. I have raised and bred them. They are great pets and very friendly to other dogs if they are properly socialized as puppies. They get along with cats too. You should also mention that the Shar-pei species was also almost wiped out, except for one man who brought them to America. Other suggestions for dogs to find info about are the flat-coated retriever. Also, the newest AKC recognized breeds, the Leonberger and the Icelandic sheepdog. You should add the Irish Wolfhound to the list, it’s supposed to be one of the tallest (not largest) dog breeds. I’m sorry but this is simply not correct. These “unique characteristics” are picked totally at random without any objective criteria. Basically a population of dogs is a breed if somebody says its a breed and many breeders want to believe some story that lets their dogs look better. E.g. breeders that claim that the Neapolitan Mastiffs is actually the same like the old roman war dogs albeit every objective observer can see that such dogs would never be usuable in actual warfare. It’s the same with the myth that every mastiff is descended from the Tibetan mastiff or that the british bulldog is supposedly the perfect bullfighter. Furthermore many characteristics weren’t specifically bred, they evolved and humans simply used and “advertized” them. Specifically breeding for certain characteristics to develop is time and energy consuming and most people in history simply couldn’t afford that. In addition many breeds were originally just types or local varieties, the majority of breeds only occurred after the beginning of the Victorian Age. In addition I think you are advertizing false immages without knowing it. Let me explain: I saw pictures of Chow Chows and Pulies from around the early decade of the 20th century and they didn’t look like the ones you are presenting here. The puli was totally white, the locks only half the length and the face was free. The Chow Chow had a much more triangular face, typically for the spitz-type. And there are plenty of Chows whose hind legs are not straight, especially ones used as sled dogs. The Chow wasn’t simply a meat dog. lol..lighten up. It’s a good read. and Yup…Looks like a Chow to me! Thumbs up! nice factoids about the dogs. The chow chow does look tasty, I’ve always wondered why until now. I love how these breeds aren’t really that uncommon. Chowchows, Shar Pei’s, Newfoundlands, and even Chinese Cresteds are actually pretty common (at least around here). Oh, and that is NOT a Korean Jindo, nor is that a Catahoula Leopard dog. That is a Catahoula Leopard Dog. You can tell by looking at their eyes. Although i’m not too sure on the other one I am sure about this one. Their pupils are much smaller than most other dogs and they are up more. How about checzvlackian wolf dogs? 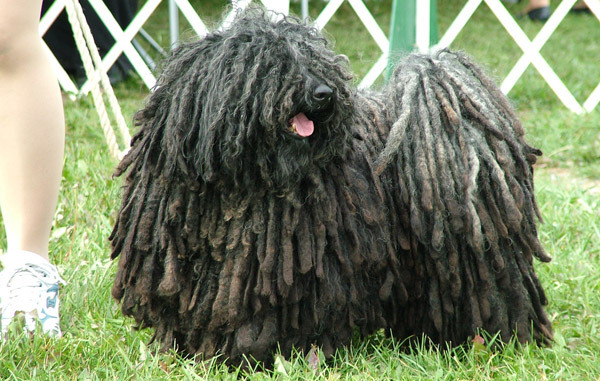 The picture of a puli is a bergamasco not a puli. The pictured Korean Jindo is not correct. The black version of the breed has brown and black coloring in the face and that version is rare – Korean Jindo are known to be mostly ‘Red’ or ‘White’. Bedlington terriers are pretty weird! I was surprised when they werent in the list!